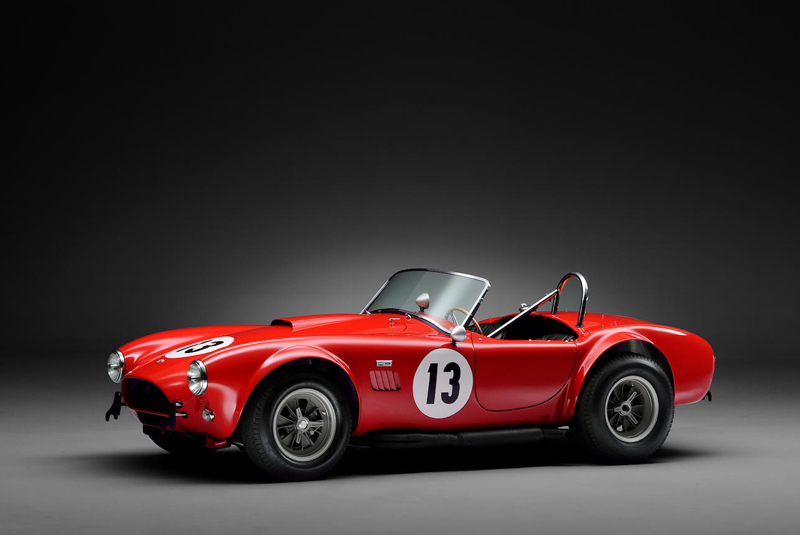 One of the original 32 factory-built competition Cobras is set to cross the block at Bonhams’ Goodwood Revival sale on 8 September. 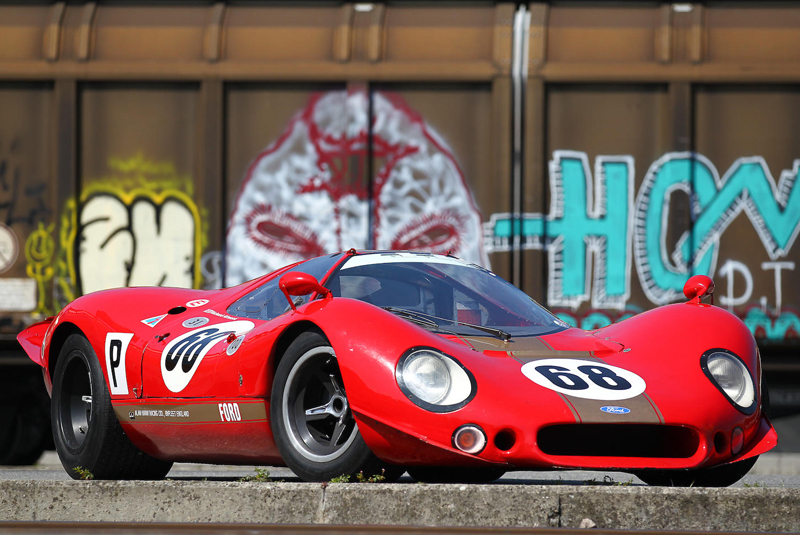 Built by Shelby in 1964 with a full race-spec 289 engine, chassis CSX 2430 was first campaigned by Tom Payne, with podium finishes at SCCA races in the US before rounding out its debut year with a class win at Bahamas Speed Week (estimate £1,200,000 – 1,500,000). Other notable competition cars include a 1990 Jaguar XJR-11 which won that year’s Empire Trophy race at Silverstone in the hands of Martin Brundle and Alain Ferté (estimate £1,200,000 – 1,500,000), and an ex-Alan Mann Racing Team Ford F3L (estimate £500,000 – 700,000). 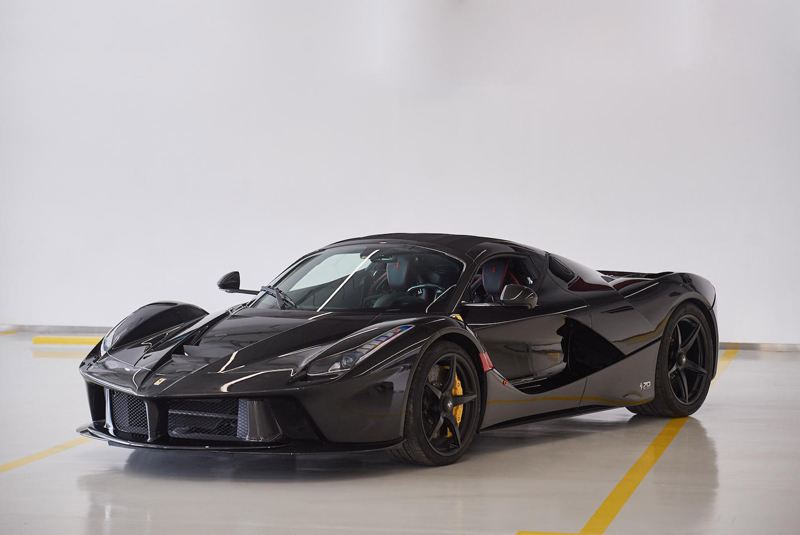 A pair of Ferrari hypercars head the inventory; a 2017 LaFerrari Aperta with less than 510km from new is estimated at £5,000,000 – 6,500,000, while a 5,900-km 2015 LaFerrari coupe is £2,300,000 – 2,800,000. 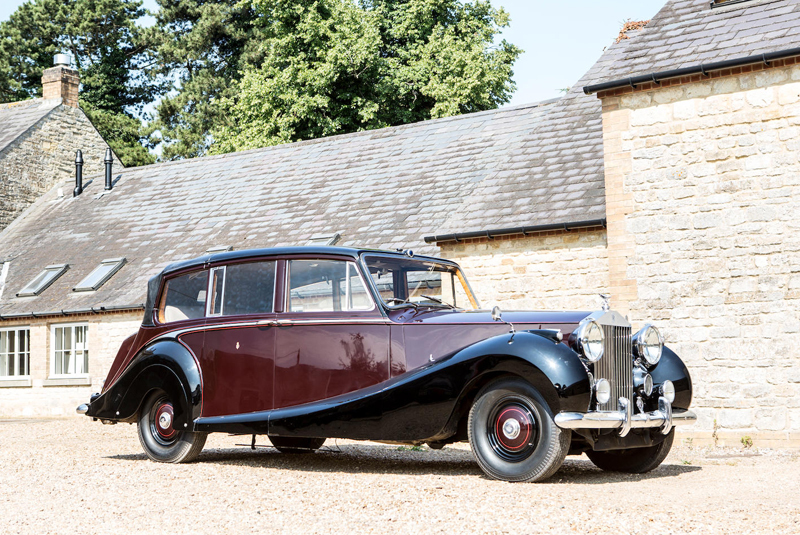 Eight cars from the Rolls-Royce heritage fleet have also been consigned. Jewel in the collection is a 1955 Rolls-Royce Phantom IV State Landaulette which was used extensively by HM The Queen during the 40-plus years it remained in the service of the Royal Household (estimate £1,000,000 – 2,000,000). 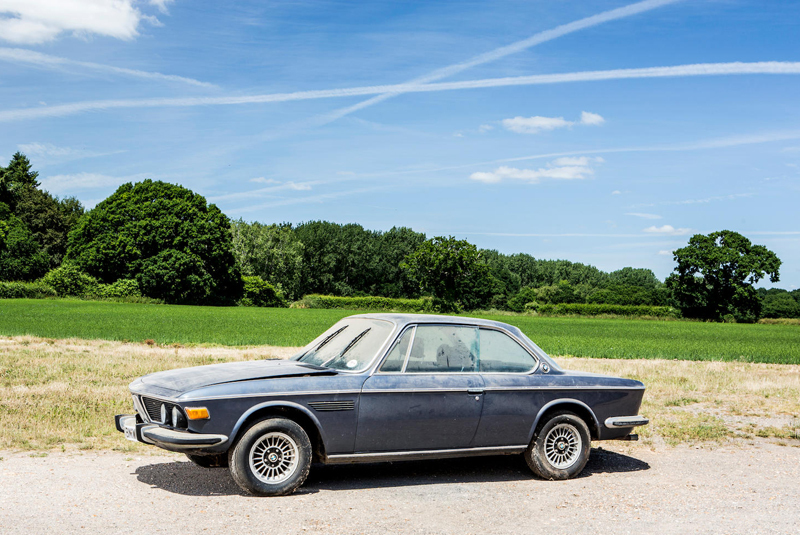 Seven days before the Goodwood event gets underway Bonhams will hold its traditional Beaulieu sale, during the annual International Autojumble. 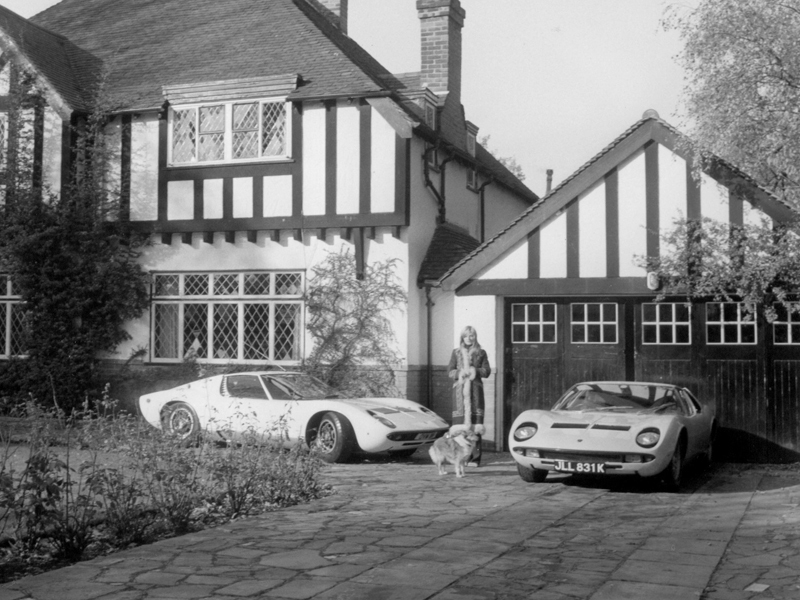 Among the project cars on offer, a three-owner (including the vendor’s company and wife) 1974 BMW 3.0 CSi is estimated at £5,000 – 7,000; a 1961 Chevrolet Corvette C1 carries a guide of £18,000 – 25,000; and a left-hand drive 1975 Ferrari 308 GT4 which has been with the owner’s family since the late 1970s, and shows 17,000km, is listed at £25,000 – 45,000. 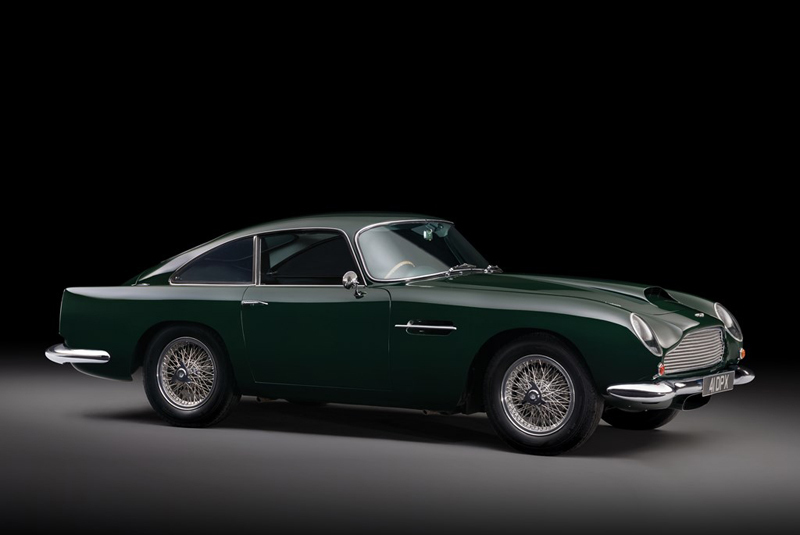 Topping the entries at RM Sotheby’s London sale on 5 September is a 1961 Aston Martin DB4GT which is believed to have been owned by Peter Sellers, following its starring role in Sellers’ film The Wrong Arm of the Law (estimate £3,000,000 – 3,400,000). 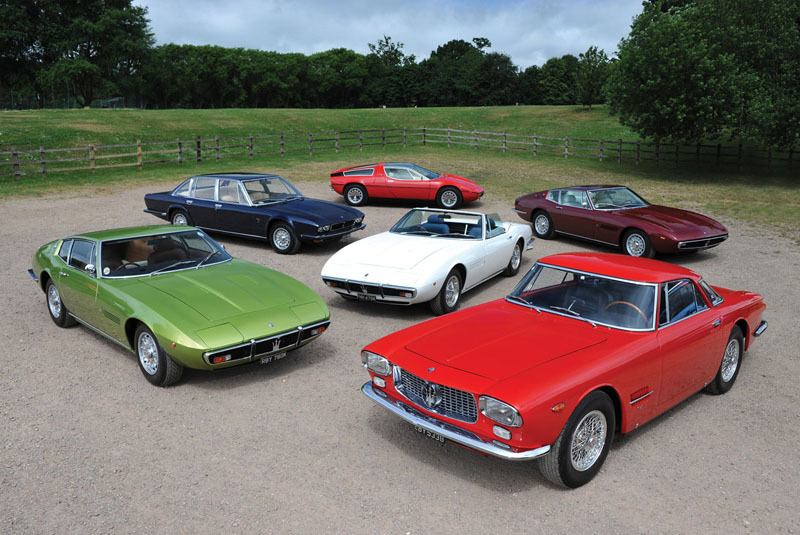 Other top-tier machinery includes a 1971 Lamborghini Miura P400 S which was originally owned by Rod Stewart, and more recently treated to a meticulous restoration at Lamborghini’s Polo Storico (estimate £1,200,000 – 1,400,000); a 1955 Mercedes-Benz 300 SL Gullwing, owned from new by the Augusta family until 2016 (estimate £950,000 – 1,250,000); and a six-car Maserati collection – headed by a 1962 5000 GT, one of 22 examples bodied by Allemano (estimate £1,000,000 – 1,200,000). 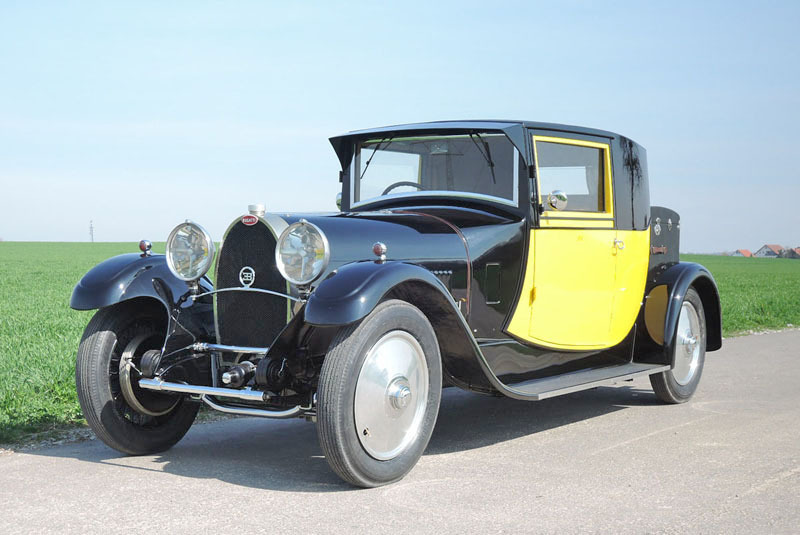 Coys returns to Fontwell on 6 September, where the star attractions include a 1929 Bugatti Type 44 Coupe de Ville offered without reserve; a two-owner 43,500-mile 1977 Ferrari 308 GTB Vetroresina (estimate £130,000 – 150,000); and a left-hand drive 1977 Maserati Bora 4.9 (estimate £110,000 – 130,000). 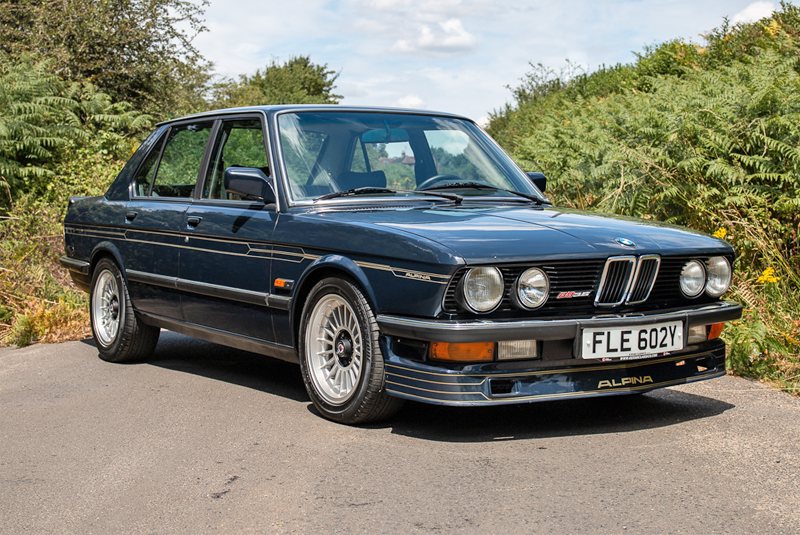 A 1983 BMW Alpina B9 3.5 will go under the hammer at Classic Car Auctions next sale on 15 September. The car was imported from Japan in 2017 and currently shows some 132,000km (estimate £25,000 – 30,000). 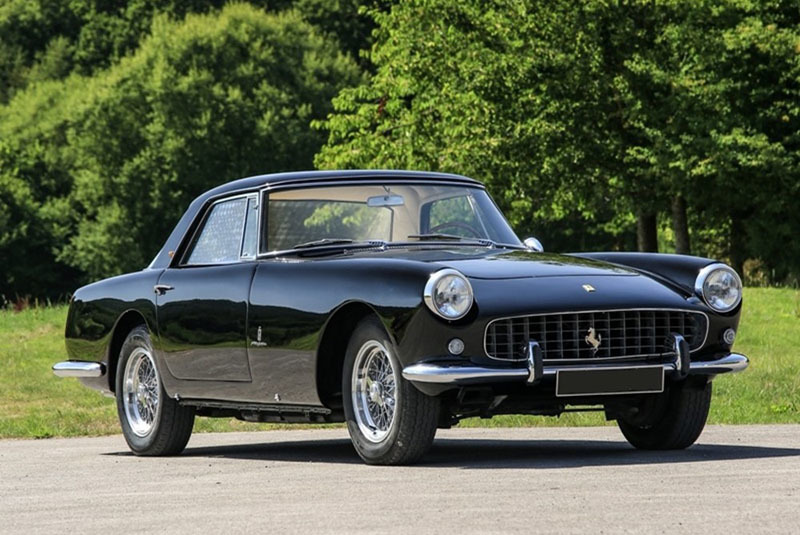 Historics at Brooklands’ 22 September sale is set to feature a matching numbers 1958 Ferrari 250 GT Coupe – comprehensively restored in 2010 at a cost in excess of €60,000 (estimate £420,000 – 460,000); a 1964 Aston Martin DB5 presented in Silver Birch over black leather (estimate £550,000 – 600,000); and a 17,000-mile 2002 Ferrari 575M, optioned with the desirable Fiorano handling pack and fitted luggage (estimate £95,000 – 105,000). 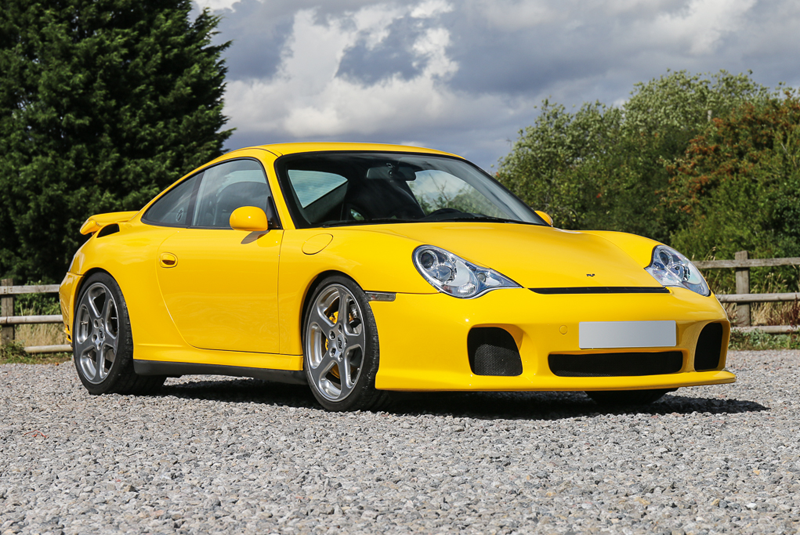 One of the early entries at Silverstone Auctions’ single-marque Porsche sale on 28 September is a 2002 RUF RTurbo, estimated at £180,000 – 220,000. The left-hand drive ex-RUF factory press car comes with the full-blown 550bhp engine upgrade and has covered 48,000km from new (estimate £180,000 – 220,000). 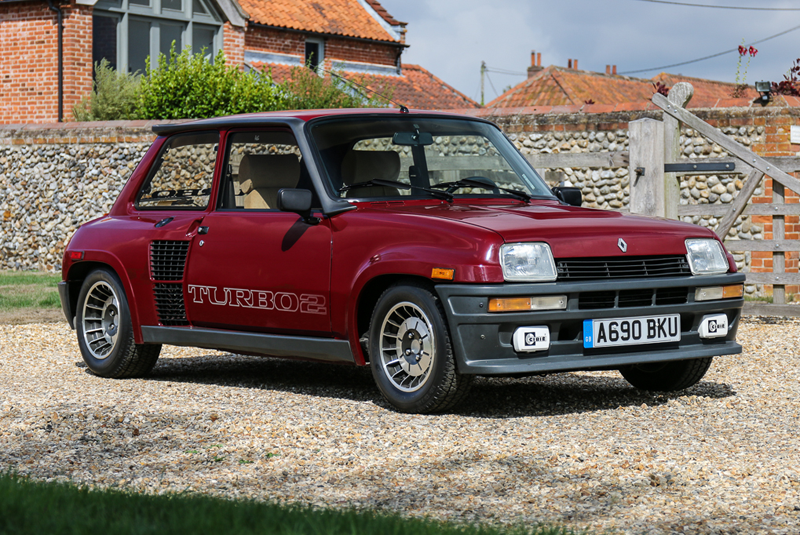 The following day Silverstone will offer a 1984 Renault 5 Turbo 2 with just 27,190km on the clock at its September sale. 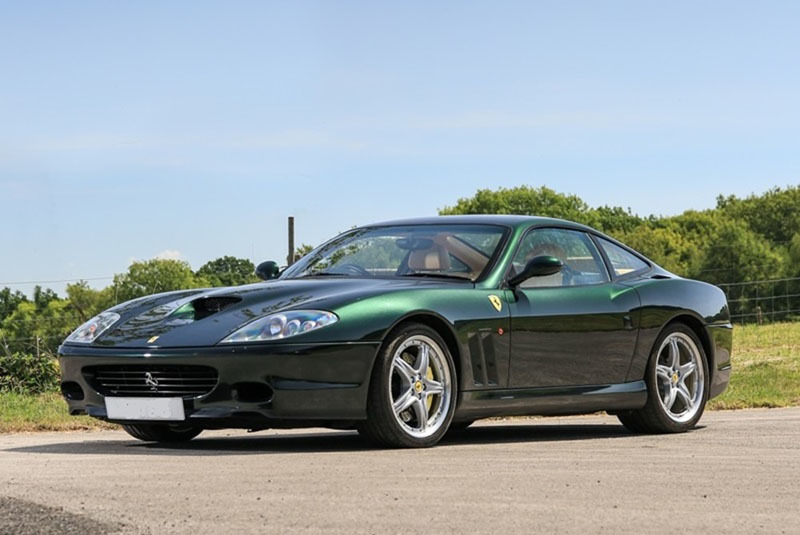 The car was supplied with the Factory Stage 2 185bhp engine to its first owner in the US, where it remained until being imported into the UK in 2018 (estimate £70,000 – 80,000).